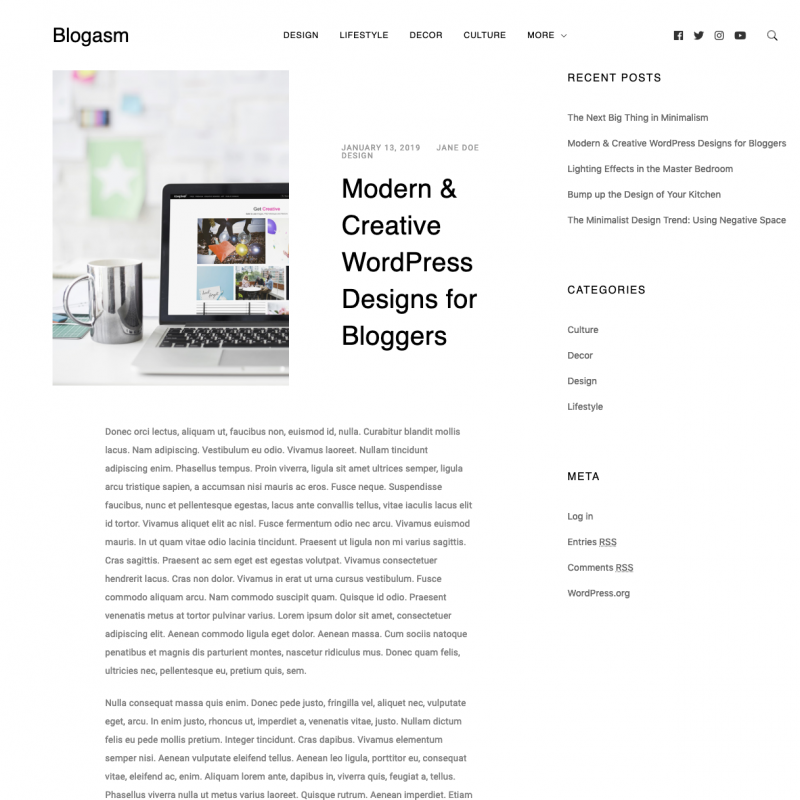 Blogasm theme translations are maintained by the WordPress community. 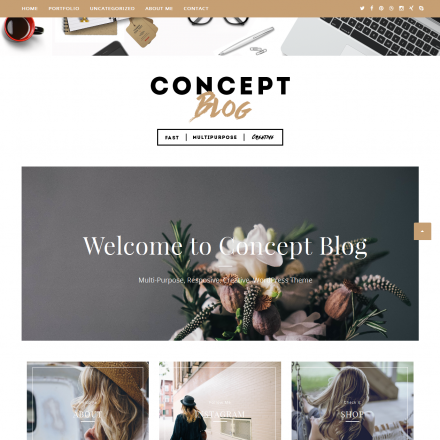 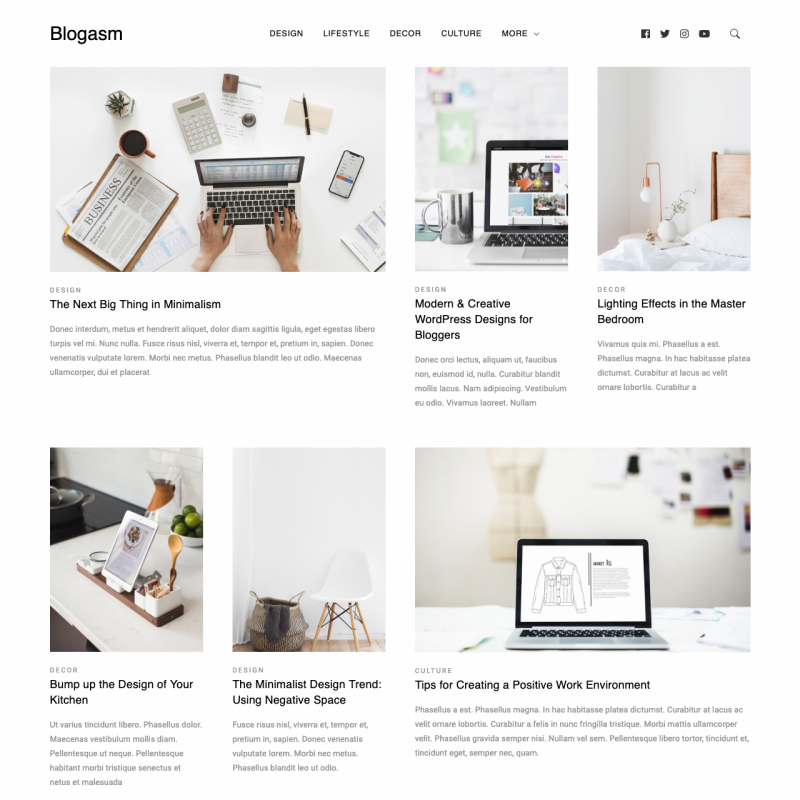 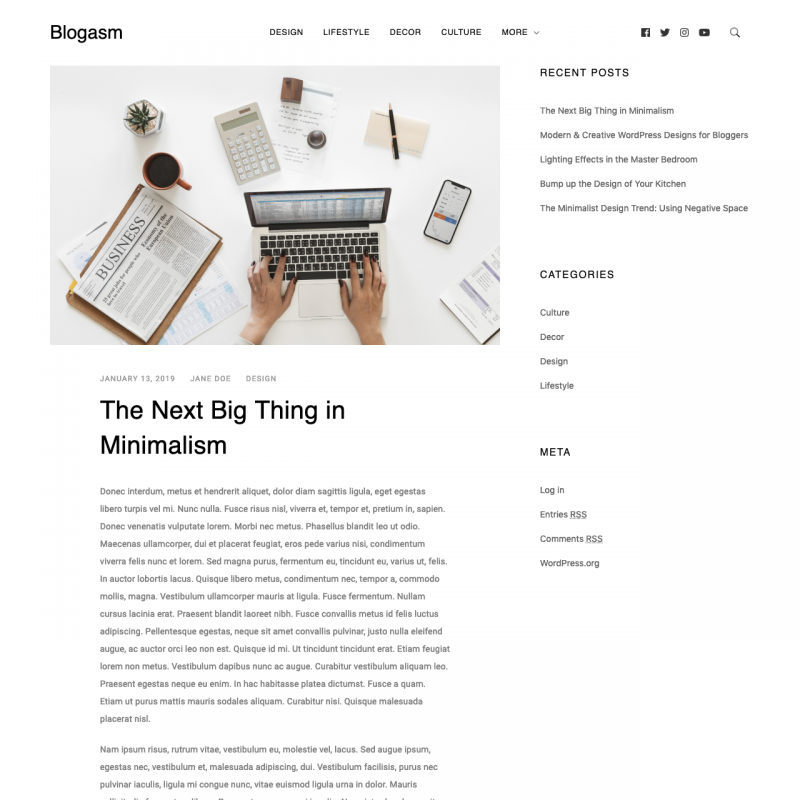 Thanks to the minimalist and stylish design, Blogasm theme will suit any magazines and blogs. 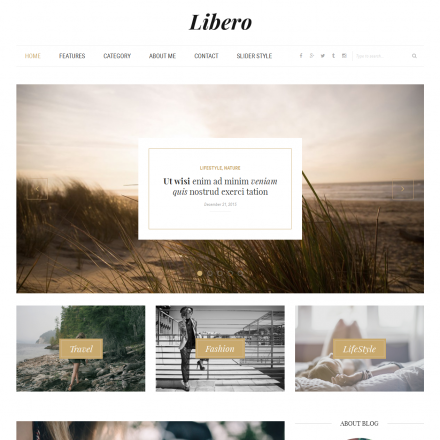 In the free version of the theme, you can customize the sidebar position, upload your logo, add links to social networks profiles. 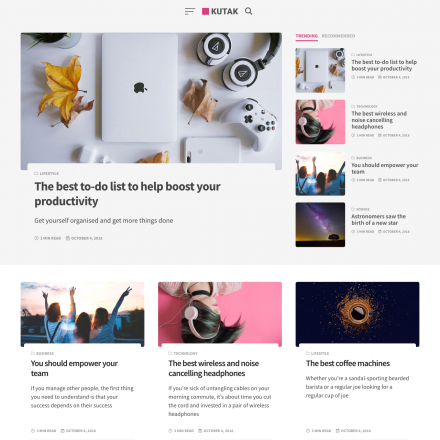 There are 4 columns for widgets at the bottom of the site, as well as an additional widget area in the pop-up window when you click on the search icon.